BYUtv • Neon Trees, Lea Salonga, Duncan Sheik, Imagine Dragon and more appear. Lea Salonga can point to the moment that changed her life. The moment that set her on the path to starring roles on Broadway in "Miss Saigon" (for which she won a Tony) and "Les Miserables." The moment that led to being the singing voice of two Disney princesses  Jasmine in "Aladdin" and the title character in "Mulan." "'On My Own' from 'Les Miz' probably would be, like, the one song that pretty much just changed my life for the rest of it. And for the better," Salonga says in the new TV series "The Song That Changed My Life." "That was the song that I decided to sing for my audition for 'Miss Saigon.' It was the song that, when I first heard it, I just burst into tears." Salonga talks about her life, her career, even her battle against Broadway producers who refused to cast her because she's Asian in the show  an entertaining, engaging new series that premieres Saturday on BYUtv. That's right, BYUtv. And there's nothing preachy, nothing LDS about the show. Nothing at all. "We want to attract viewers we've never had before," said executive producer Sam Cardon. "Particularly younger viewers. And we think that can be accomplished with a music show." 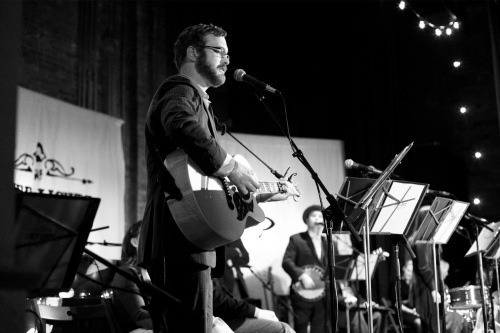 The original idea was to do something along the lines of "Austin City Limits"  a performance show shot in BYUtv's Provo studios. "Our research showed we might have a better luck if we did something that couldn't be found on other channels," Cardon said. "We're trying to do things that are a little bit unusual." During a brainstorming session, "Someone said, 'Well, what if you found the song that changed your life.' And that immediately sparked an idea," Cardon said. "You can talk about that with anybody. An opera singer or a guy in the latest indie band  they've had that cathartic moment in their lives where something has compelled them to do what they do." BYUtv is actually launching a pair of parallel shows. "The Song That Changed My Life" features "a little bit more conventional artists"  Salonga, Duncan Sheik, Fictionist, The Lower Lights, Dar Williams and Over the Rhine. "Audio-Files," which premieres on Tuesday, April 10, features "people with more of a rock attitude"  Neon Trees, Joshua James, Imagine Dragon, Paper Route. "We've been really excited to get the range of people we've been able to attract to the show," Cardon said. Yes, there are some Utahns in there. And some Mormons. But only a few. And that's not what the show is about. "We certainly didn't set out with that agenda in mind," Cardon said. "We were just looking for people that are good and have something to say." As a matter of fact, if "The Song That Changed My Life" aired on another channel, you wouldn't know about the BYUtv connection until the credits roll. But it fits the channel's mission of airing positive programming. 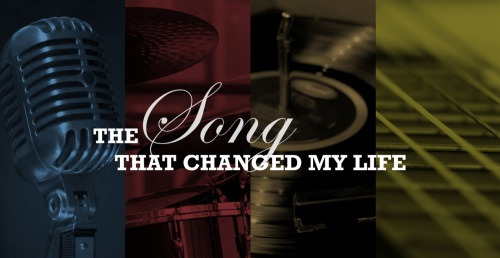 "The Song That Changed My Life" premieres Saturday, March 31, at 5:30. Lea Salonga, Duncan Sheik, Fictionist, The Lower Lights, Dar Williams and Over the Rhine will appear on the show. "Audio-Files" premieres Tuesday, April 10, at 6:30 p.m. Neon Trees, Joshua James, Imagine Dragon, Paper Route and two more acts will appear on the show.